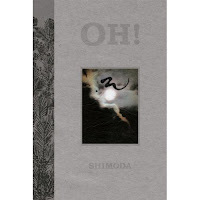 Todd Shimoda’s latest novel, Oh! : A Mystery of Mono no Aware, published by Chin Music Press, is a fascinating and compelling book that weaves themes of both traditional and modern Japanese culture. You’ll be drawn in by Shimoda’s spare but elegant prose, which reminds me of the writing style of Haruki Murakami. The protagonist of Oh!, Zack Hara, is dead inside, devoid of passion, hate, love, any sustained emotion. The twenty-something technical writer trudges through each day in LA like a zombie, until he leaves his job, part-time lover, and antique Chevy pickup truck to travel to Japan. There, searching for an emotional life, Zack becomes entwined with a tragic poet, a sensual but disillusioned woman, and young people who form suicide clubs –- all propelling him down a dangerous path. Todd Shimoda, a third-generation Japanese-American, lives in Hawaii. He has published two other novels that deal with Japan and Japanese themes: 365 Views of Mt. Fuji (Stone Bridge Press) and The Fourth Treasure (Nan Talese/Doubleday). The books have been translated into six languages with over one hundred thousand copies printed worldwide. The Fourth Treasure was listed as a 2002 Notable Book by the Kiriyama Prize. Oh! 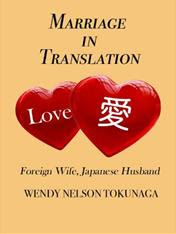 is not only a beautifully written novel, but the book itself is beautifully produced and includes artwork created by Todd’s wife, Linda Shimoda, an accomplished artist, illustrator and book designer, who is also the curator of the Kauai Museum in Hawaii. Her illustrations and artwork have appeared in both of Todd’s first two novels. In Oh!, her artwork offers clues to the fate of Zack Hara. Todd was kind enough to take some time to answer some questions. What was the inspiration for the novel? When did you first become aware of the term mono no aware? I came across the Japanese aesthetic and poetic ideal of intense emotional reaction to things (mono no aware) when I was working on my novel The Fourth Treasure. I tried to write a non-fiction monograph about it, but couldn't capture the real feeling of the concept. I toyed with a fictional character trying to find an emotional life and how/if mono no aware could help him. I wrote a short story and as it often happens, that turned into a novel. What fueled your interest in Japan’s suicide clubs? It's a very tragic phenomenon which I first read about in a news story. I couldn't understand the whole idea of people meeting online and coming together to commit suicide. All sorts of questions haunted me: What do they talk about? How do they plan it? Why do it as a group? I tied it to the other plot ideas in Oh! as a way of showing the extreme actions people take to emotions. Do you feel that your protagonist, Zack Hara, has anything in common with the hikikomori and otaku youth in Japan? Despite Zack's lack of an emotional life, he enjoys being with people in a social way. This makes him different from hikikomori and otaku who I believe prefer not to interact with people. Or at least limit their face-to-face interactions. What character in the novel do you relate to the most? I mostly relate to the main character. Zack is about 5% autobiographical: I was a technical writer, we taught English in Japan, both our grandfathers came from Japan and worked in farming then landscaping, we watch way too much TV. As Zack does, I sometimes feel a little numb about life but not chronically and not to Zack's extent. But I'm closer in age to Professor Imai and can sometimes feel the weight of memories and the past as he does. Your wife, Linda Shimoda, often illustrates your books. Can you describe your collaboration process? We work separately for the most part. I tell her the basic elements of the story and she uses that framework to work her magic. She tells me what kind of art she is working on so I can incorporate it into the story. When I've finished a draft and she has her pieces ready, we look at each other's work. It's always amazing how well it jibes! Have you formally studied Japanese? Are you continuing to study? My nisei Dad never spoke Japanese so I never learned it. I lived in Japan in the mid 80s and studied it informally then. I never got much beyond a few phrases, kana, and some kanji. And now it's mostly gone I'm afraid. According to your Web site you are working on two novels-in-progress. Do you work on them simultaneously? Are either being close to finished/released? Drafts of both Subduction and Why Ghosts Appear are finished and I'm revising them now. I worked on them at different times, a couple of years apart, but now am revising them and working on proposals simultaneously. I rarely do that (work on two novels at once) but I find it keeps me interested and fresher. What is your favorite Japanese food and/or Japanese restaurant? I'm mostly a veggie these days, so I'm a lover of tofu. Living in Hawaii (Kauai) I eat sashimi or fish maybe once a month, especially when I get a present of locally caught fish. Kintaro's is the best local Japanese restaurant. When I lived in San Francisco on Bush Street I loved Sushi Man, just down the block. Visit Todd’s Web site here.